Multiple sclerosis and demyelinating diseases. STENO, Varna, 2005, 214 pp. Georgiev, D., Milanov, I. Chipilski, L. Actual problems of some extrapyramidal diseases. IK Iv. Vasov, Sofia, 1996, 144 pp. Georgiev, D., Milanov, I., Chipilski, L. Actual problems of Parkinson's disease. Color Studio, Sofia, 1999, 35 pp. 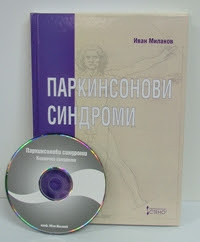 Milanov, I., Hadjiivanov, R. Neurophysiological terminology vocabulary. Kajnadina OOD, Sofia, 1999, 95 pp. 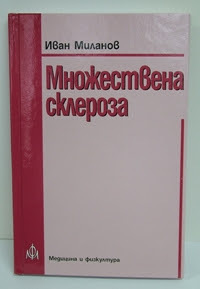 Chipilski, L., Milanov, I., Bojinova, V. Manual for diagnosis and treatment of primary type headaches. Color Studio, Sofia, 1999, 144 pp. Georgiev, D., Milanov, I., Chipilski, L. New aspects of assessment of the neuroprotective therapy with Jumex. Color Studio, Sofia, 2000, 28 pp. Antonaci, F., Milanov, I. Cluster headache, neurophysiology and the autonomuic nervous system. In: Cluster headache syndrome in general practice. Sjaastad, O., Nappi, G., eds., Smith-Gordon, London, 2000, 35-41. Georgiev, D., Milanov, I., Amantadin sulfat (PK-MERZ) in the treatment of Parkinson's disease and other neurological diseases. Plusar, Sofia, 2001, 20 pp. Milanov, I. Back pain. Sofia, 2002, 118 pp. Milanov, I. Multiple sclerosis. Medicina i Fiskultura, Sofia, 2005, 148 pp. Milanov, I. Parkinsonian syndromes. STENO, Varna, 2005, 214 pp. Milanov, I. Movement disorders. Medicina i Fiskultura, Sofia, 2007, 240 pp. Milanov, I. Headache. In: Pain and its treatment. Atanasov, At., ed., ET Vasil Petrov - VAP, Plovdiv, 2007, 350-382. Milanov, I. Pain in neurological practice. Medicina i Fiskultura,, Sofia, 2009, 367 pp. Milanov, I. Multiple sclerosis and demyelinating diseases. Medicina i Fiskultura, Sofia, 2010, 242 pp. Milanov, I. Back pain. II ed. 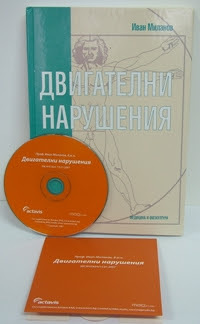 Medicina i Fiskultura, Sofia, 2010, 179 pp. Milanov, I. Headache. Medicina i Fiskultura, Sofia, 2011, 340 pp. Milanov, I. Acquired neuropathies. Medicina i Fiskultura, Sofia, 2013, 368 pp. Milanov, I. Mechanisms of pain. In: Pain. Reshkova, V. ed., Medicina i Fiskultura, Sofia, 2014, 3-53. Milanov, I. Multiple sclerosis and autoimmune demyelinating diseases of the central nervous system. Medicina i Fiskultura, Sofia, 2014, 319 pp. Milanov, I., Grozeva, V. Trigeminal Neuralgia. In: Case-based diagnosis and management of headache disorders. Siva, A., Lampl, Ch. eds., Springer International Publishing, Switzerland, 2015, 267-273. Velcheva, I., Milanov, I. The history of Bulgarian neurological society. Medicina i Fiskultura, Sofia, 2015, 120 pp.